Here you see a gorgeous piece of 70's and 80's history and fashion! 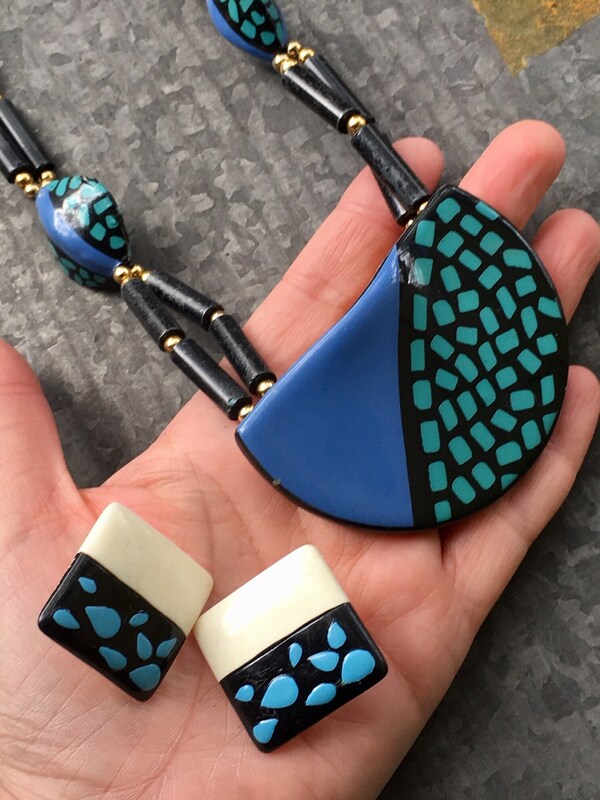 This is an OLD/NEW Vintage Necklace and Earring Set, featuring a large Ceramic pendant and matching ceramic beadwork. This set is in pristine condition and has never been owned. I think it would be perfect for people who love vintage jewelry. I can also see it finding new life as Modern BoHo style. 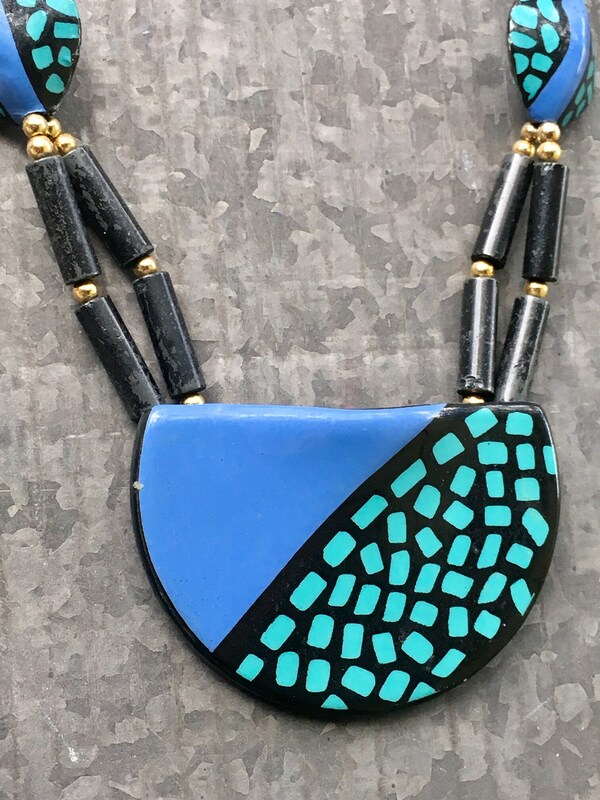 Check out the 80's Tribal Style! 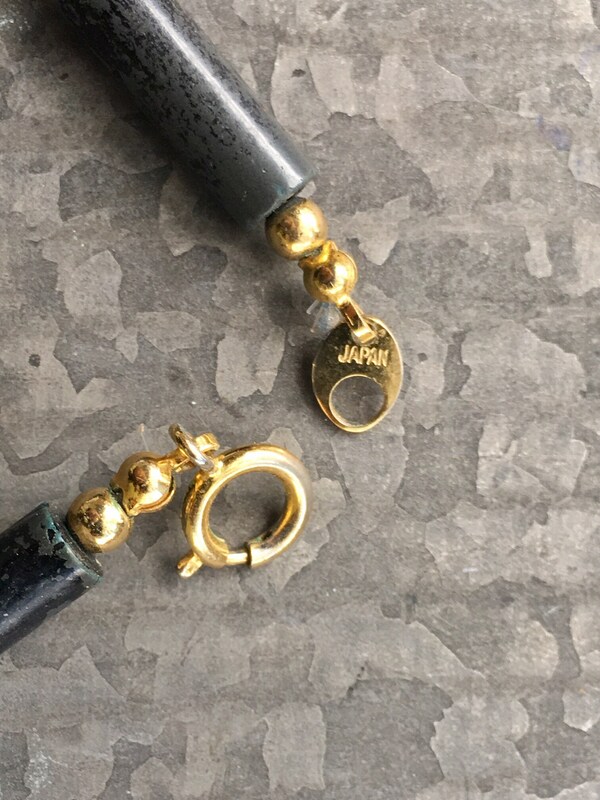 • Fashion spring clasp, stamped "Japan"
Here is the amazing story behind this piece and the other vintage jewelry you will find in my shop. I work for a small, local jewelry store. The owner has been in business for over 25 years but has been buying stock from other jewelry stores since the 80's. On Valentine's Day weekend, 2019, we had an I Love the 80's theme and thought it would be fun to do a live stream of us opening up these bins of vintage jewelry that she had not opened since 1986. After purchasing these bind, she opened them up, made plans for them, then put them away in storage. 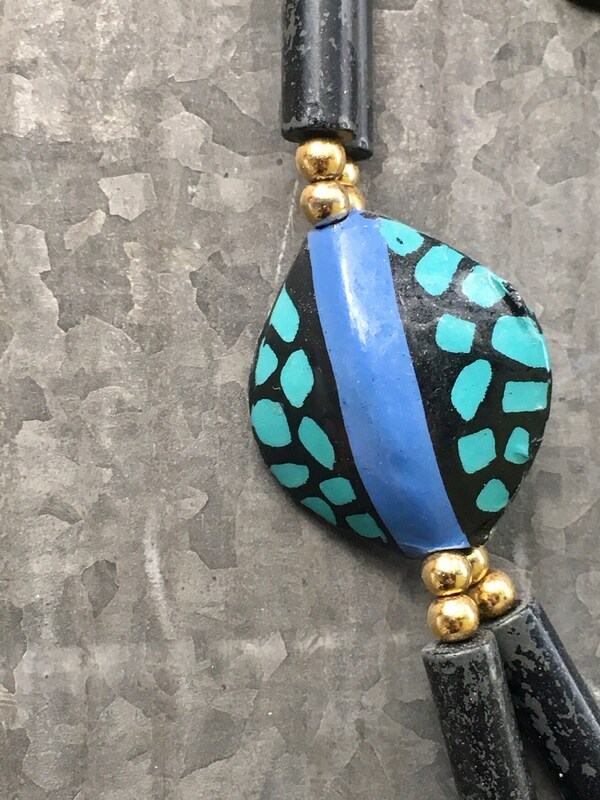 It's not like we didn't know how old the pieces were, but we were amazed to find that many of the pieces were actually Japanese Ceramic jewelry from the late 70's - early 80's! These bins are literal time capsules. These are OLD/NEW Vintage pieces that have not only never been owned, they haven't see the light of day since 1986. 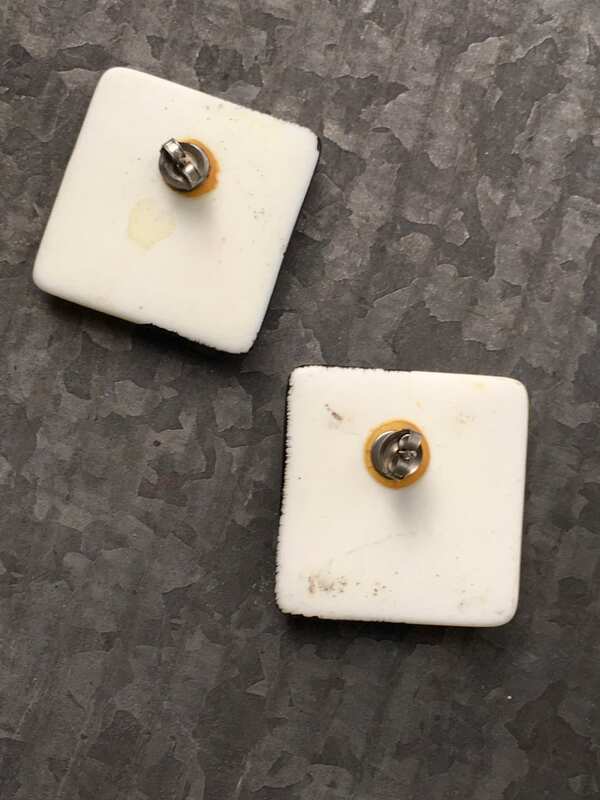 I have done some research have discovered only a few identical pieces that are and are going to be available in my shop. The biggest difference is that I have been unable to find matching pieces from that era that are NEW. 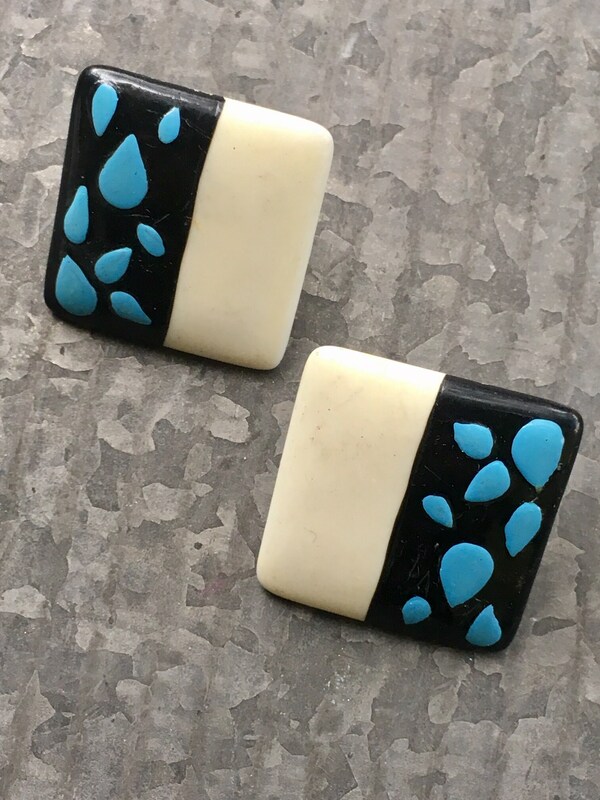 Many of the matching pieces I've discovered online are gently worn and missing the matching earrings that belong to a set. 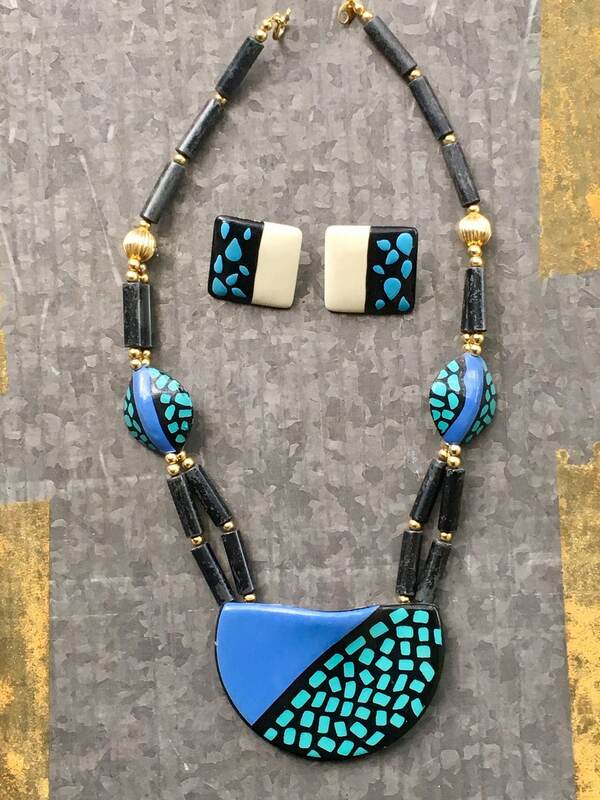 Like this necklace listed, the collection is a true representation of the style and creativity of the era. I hope you find these pieces just as astounding in condition and creativity as I do. DOMESTIC SHIPPING: My standard shipping method is First Class USPS shipping. Sales are final. This item cannot be replaced.